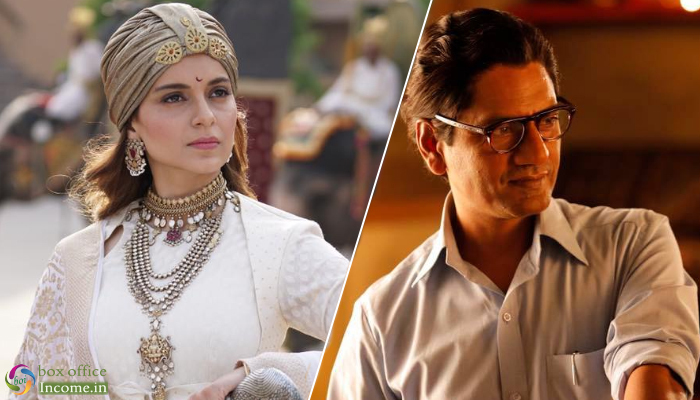 This Friday released the two new much-anticipated Hindi offerings, Manikarnika: The Queen of Jhansi and Thackeray are being appreciated by many across India. Both the films are running well at the box office despite Uri The Surgical Strike, especially the former one. Kangana Ranaut starrer period drama Manikarnika: The Queen of Jhansi has got succeed to impress everyone and received mostly positive reviews from the critics as well as the audience. After a decent start in the morning on Friday, the film recorded excellent growth post noon shows and registered the opening business of 8.75 crores. On Saturday, it witnessed a remarkable jump in footfalls and minted the amount of 18.10 crores. With a further growth on Sunday, Manikarnika garnered the business of 15.70 crores and raised its 3 days total collection to 42.55 crores nett at the domestic box office. On the other hand, the bilingual biographical Thackeray is getting a good response from the Indian audience. The movie has received mostly positive reviews from the critics as well as the audience and gained favorable word of mouth. As a result, it opened on a decent note and registered the business of 6 crores from 1200 screens nationwide. With a healthy growth, the movie bagged the amount of 10 crores on Saturday. On Sunday, with a slight decline, Thackeray bagged the amount of 6.90 crores to raise its 3 days total to 22.90 crores at the Indian box office.